You can review your account's security log to better understand the actions you've performed in the last 90 days. The security log lists the last 50 actions or those performed within the last 90 days. Under "Security history," your log is displayed. Click on an entry to see more information about the event. oauth_access Contains all activities related to OAuth applications you've connected with. profile_picture Contains all activities related to your profile picture. project Contains all activities related to project boards. public_key Contains all activities related to your public SSH keys. 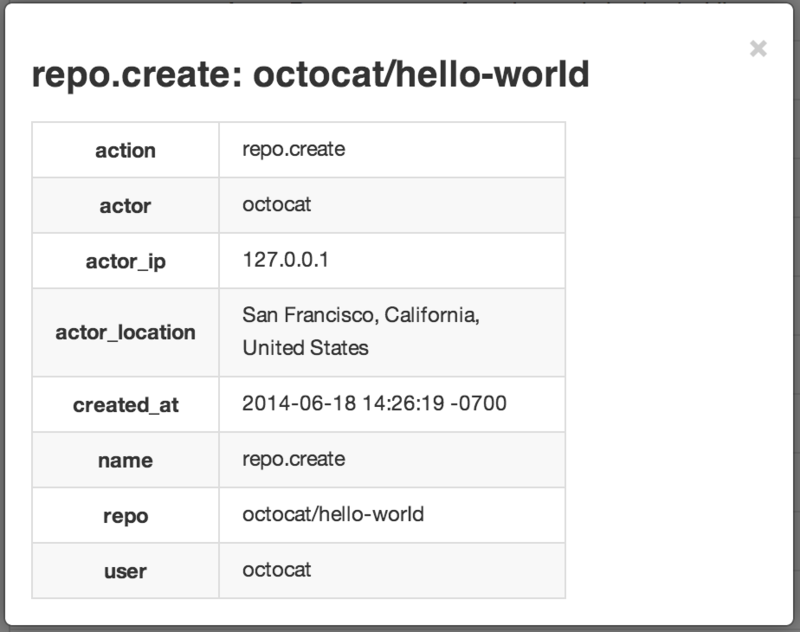 repo Contains all activities related to the repositories you own. team Contains all activities related to teams you are a part of. two_factor_authentication Contains all activities related to two-factor authentication. user Contains all activities related to your account. A description of the events within these categories is listed below. create Triggered when you grant OAuth access to a third-party application. destroy Triggered when you revoke OAuth access to a third-party application. update Triggered when you set or update your profile picture. create Triggered when a project board is created. rename Triggered when a project board is renamed. update Triggered when a project board is updated. delete Triggered when a project board is deleted. create Triggered when you add a new public SSH key to your GitHub Enterprise account. delete Triggered when you remove a public SSH key to your GitHub Enterprise account. access Triggered when you a repository you own is switched from "private" to "public" (or vice versa). add_member Triggered when a GitHub Enterprise user is given collaboration access to a repository. add_topic Triggered when a repository owner adds a topic to a repository. create Triggered when a new repository is created. destroy Triggered when a repository is deleted. remove_member Triggered when a GitHub Enterprise user is removed from a repository as a collaborator. remove_topic Triggered when a repository owner removes a topic from a repository. rename Triggered when a repository is renamed. transfer Triggered when a repository is transferred. transfer_start Triggered when a repository transfer is about to occur. add_member Triggered when a member of an organization you belong to adds you to a team. add_repository Triggered when a team you are a member of is given control of a repository. create Triggered when a new team in an organization you belong to is created. destroy Triggered when a team you are a member of is deleted from the organization. remove_member Triggered when a member of an organization is removed from a team you are a member of. remove_repository Triggered when a repository is no longer under a team's control. enabled Triggered when two-factor authentication is enabled. disabled Triggered when two-factor authentication is disabled. add_email Triggered when you add a new email address. create Triggered when you create a new user account. remove_email Triggered when you remove an email address. rename Triggered when you rename your account. change_password Triggered when you change your password. forgot_password Triggered when you ask for a password reset. 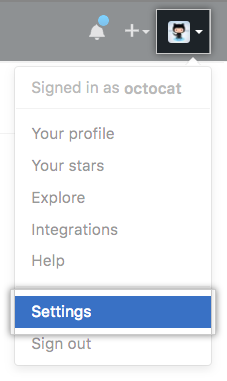 login Triggered when you log in to your GitHub Enterprise instance. failed_login Triggered when you failed to log in successfully. two_factor_requested Triggered when GitHub Enterprise asks you for your two-factor authentication code. show_private_contributions_count Triggered when you publicize private contributions on your profile. hide_private_contributions_count Triggered when you hide private contributions on your profile.